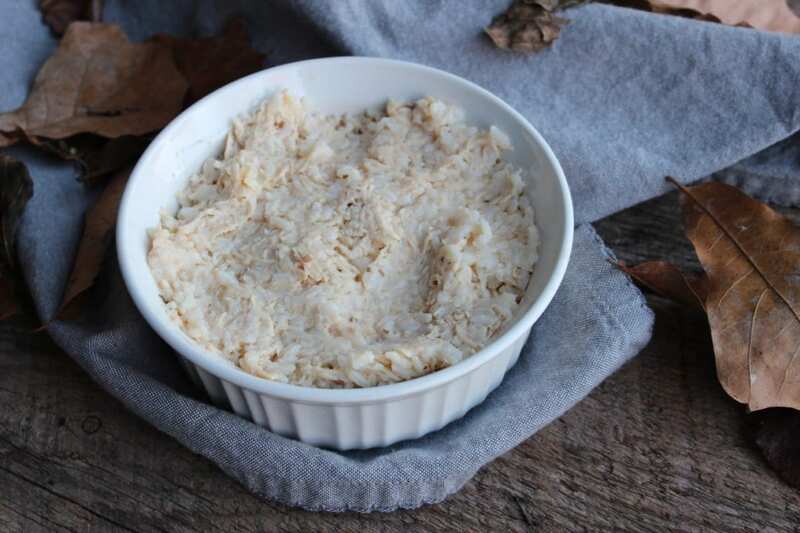 I don’t know of anything more hearty or comforting than this Slow Cooker Ranch Chicken & Rice Casserole. This is basically a hug in a bowl and a very dressed up, more delicious version (if I do say so myself!) 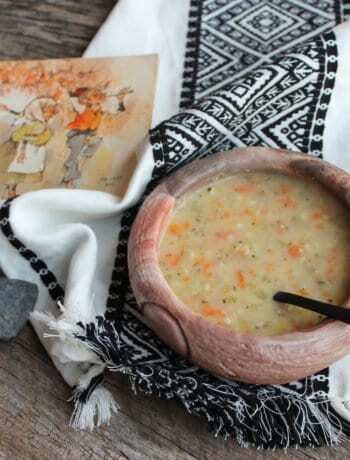 of classic chicken and rice casserole. 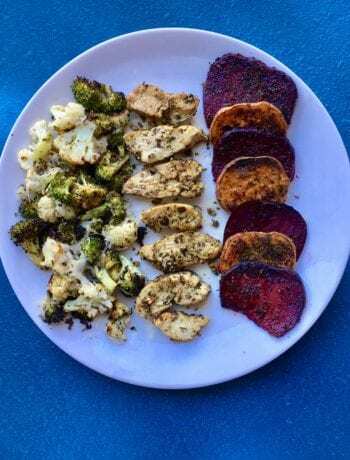 I am a firm believer that dry Ranch seasoning mix can make just about anything taste better (if you can’t tell from my recipes that include it!). 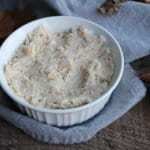 It’s easy for a dish such as chicken and rice to taste bland if it’s not seasoned right. 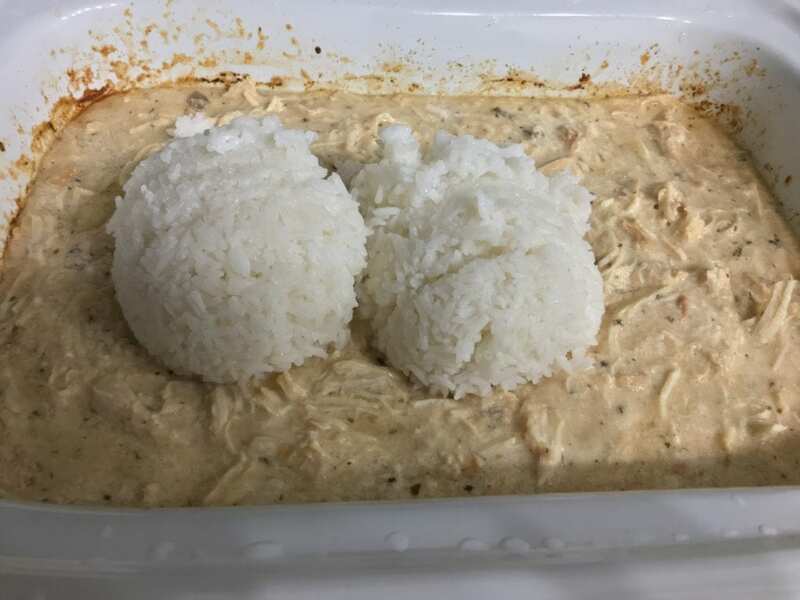 Well allow me to set all of your fears to rest and assure you, this Slow Cooker Ranch Chicken & Rice is definitely NOT boring or bland! The best part about this Slow Cooker Ranch Chicken & Rice is that…drum roll please…it cooks in your slow cooker! 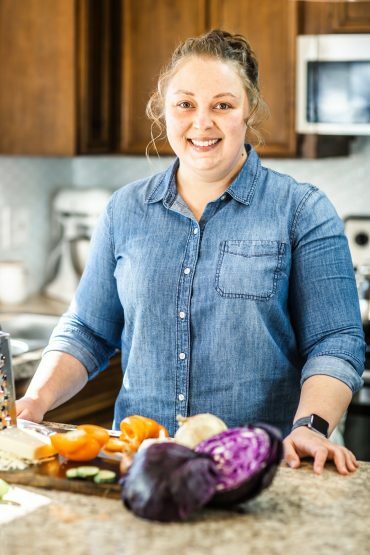 Nothing better than a wonderful slow cooker recipe! 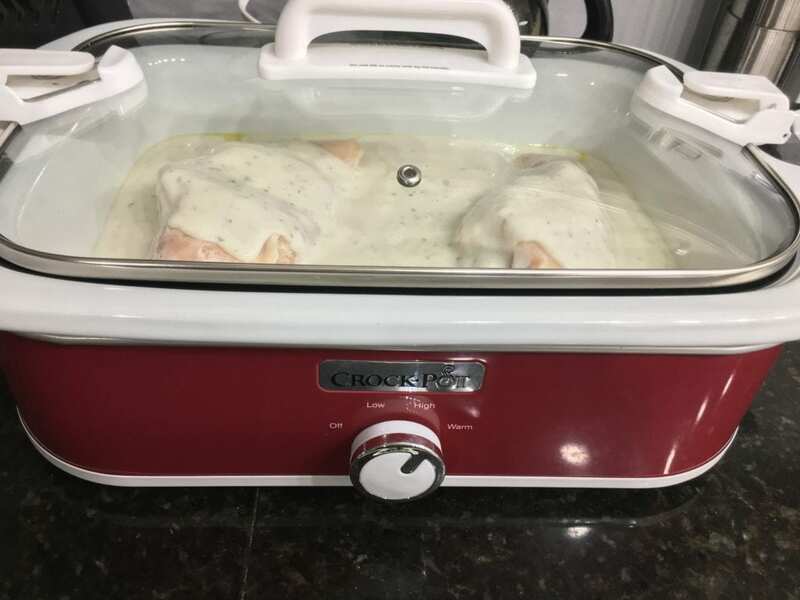 I made this Slow Cooker Ranch Chicken & Rice in my casserole Crockpot slow cooker but it can be made in a standard round or oval slow cooker. First I like to start out by laying all of my ingredients out. By laying them all out first it just makes the preparation process faster and more efficient. 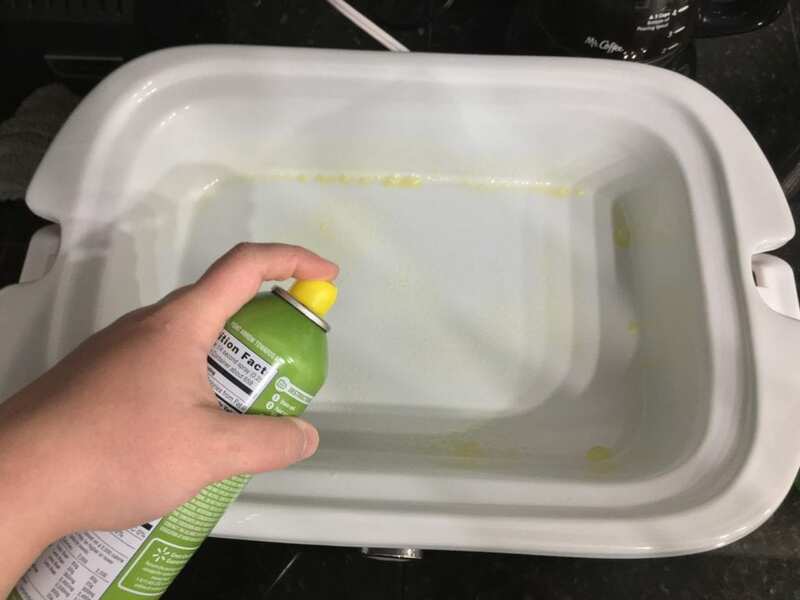 After laying the ingredients out, spray your porcelain slow cooker insert with nonstick cooking spray. Once the slow cooker insert has been sprayed with nonstick cooking spray, place the chicken into the slow cooker. The chicken I’m using is frozen but you can use thawed if that’s what you prefer, just reduce the cook time by 2 hours if using thawed. 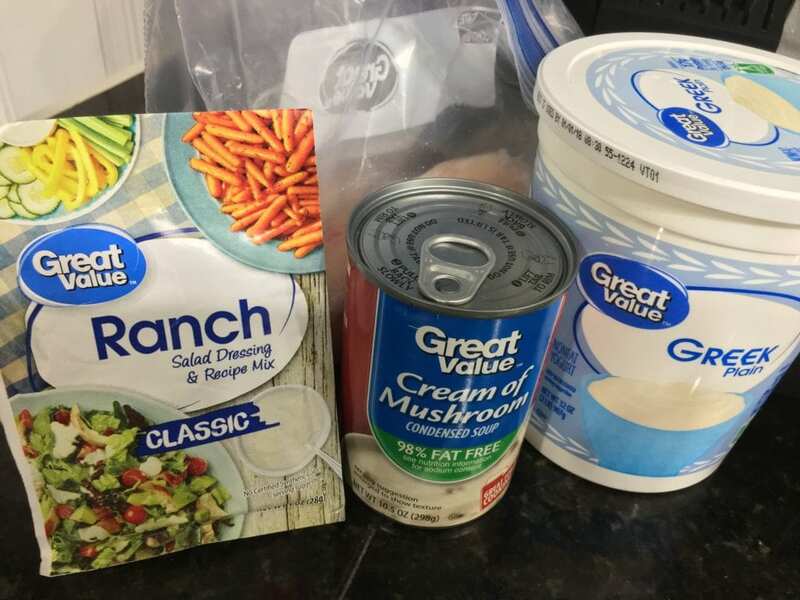 Time to mix up the delicious creamy sauce that makes this recipe so wonderful! 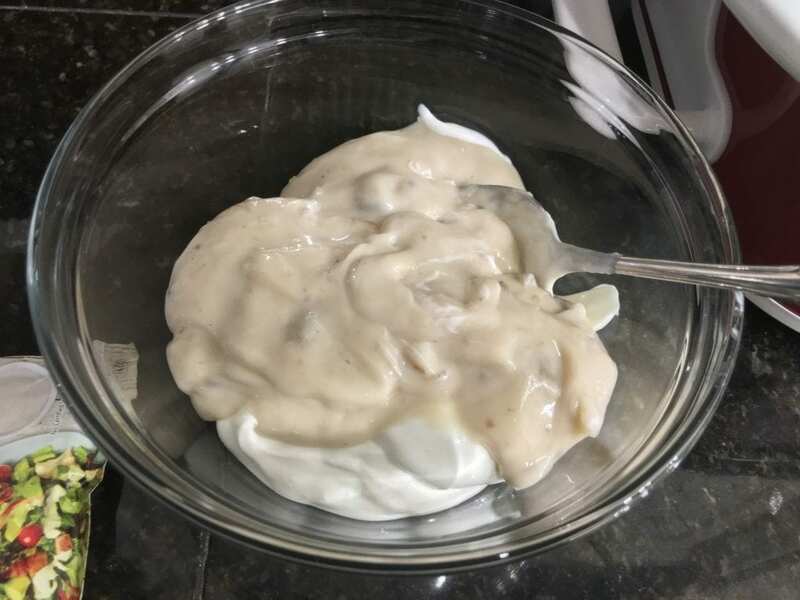 Start off with a small bowl and 1 cup of nonfat plain Greek yogurt. 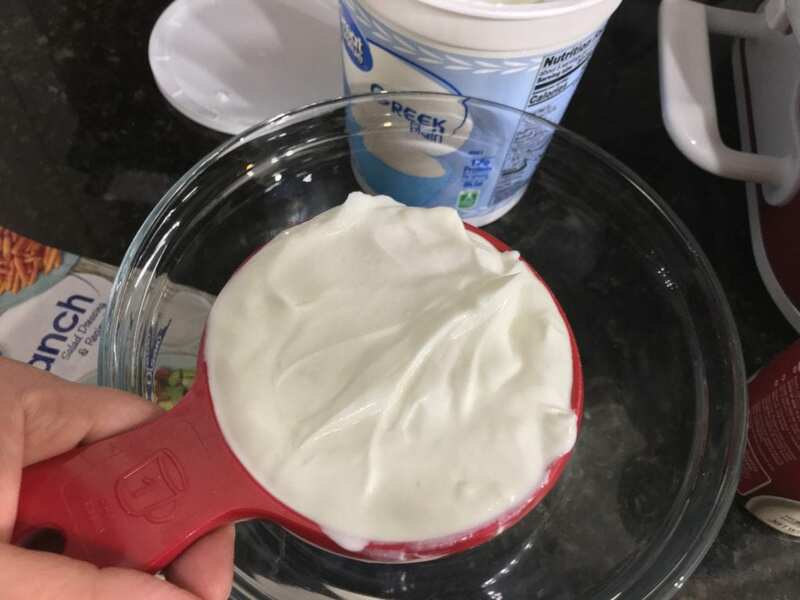 Pour the Greek yogurt into your mixing bowl and add the fat free cream of mushroom soup. 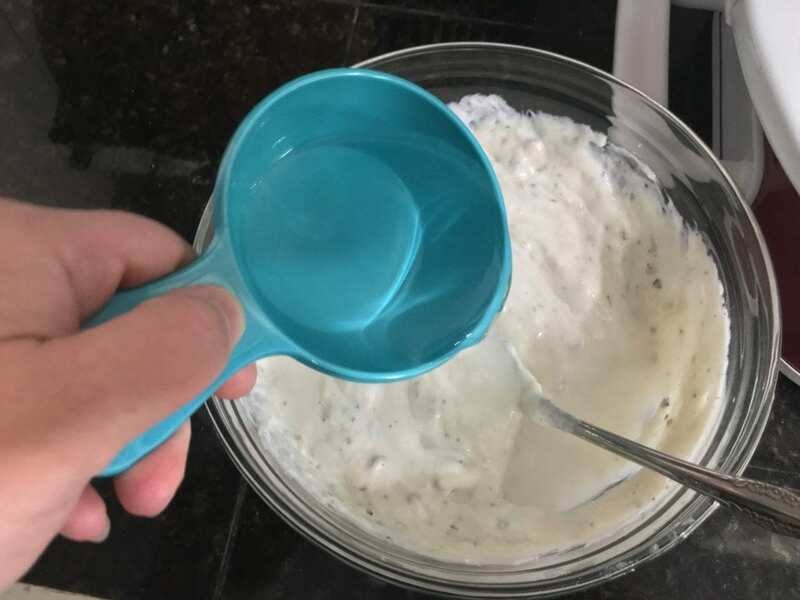 Now it’s time to add the magic elixir – the packet of dry ranch dip mix. Now that you have all of your ingredients for the sauce (except the water – we’ll add that in a minute) go ahead and give it all a good stir. 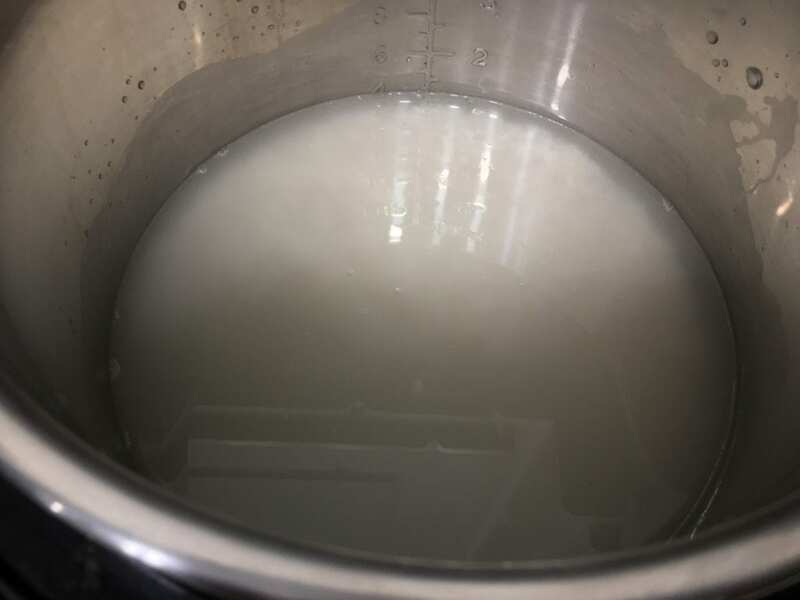 Time to add the water and then stir some more until well combined. 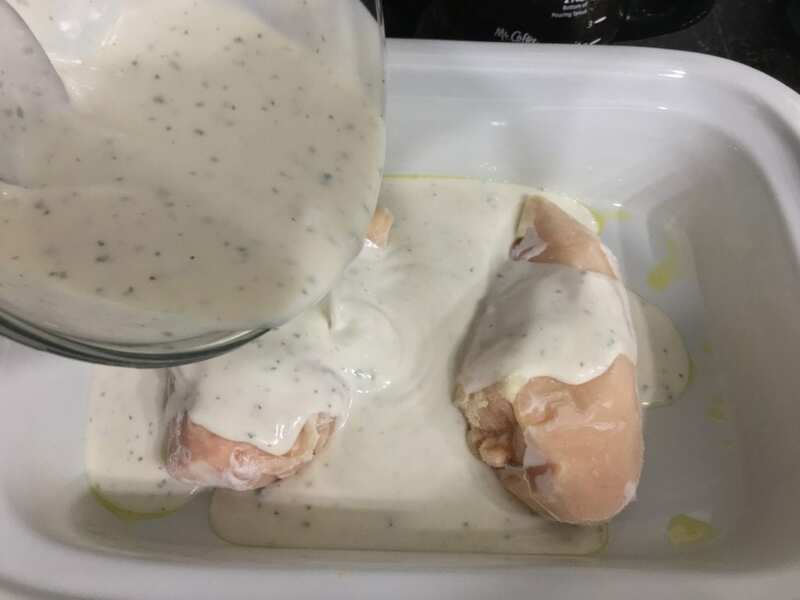 Time to pour this wonderful, creamy sauce over the chicken in the slow cooker! 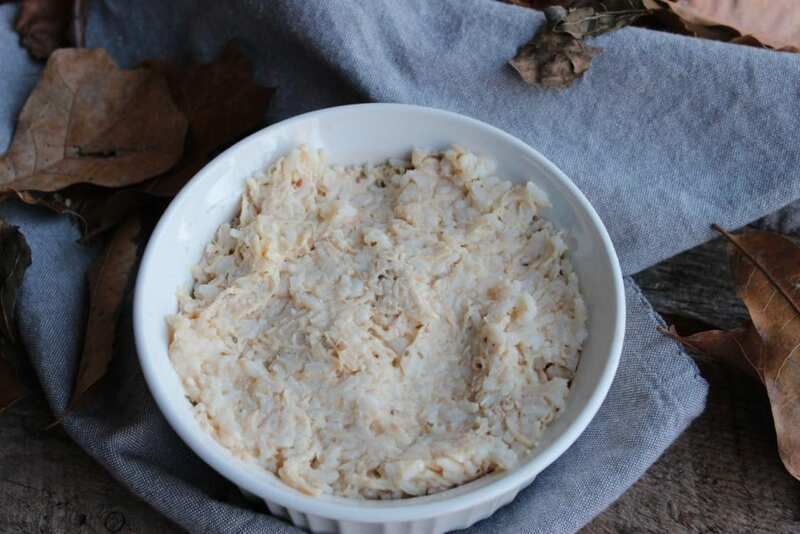 This is what makes this Slow Cooker Ranch Chicken & Rice Casserole so wonderful! Whooohoo! Sauce is added to the chicken and you’re ready to cook this up! Place the lid on the slow cooker and cook on high for 5 hours or low for 7 hours. 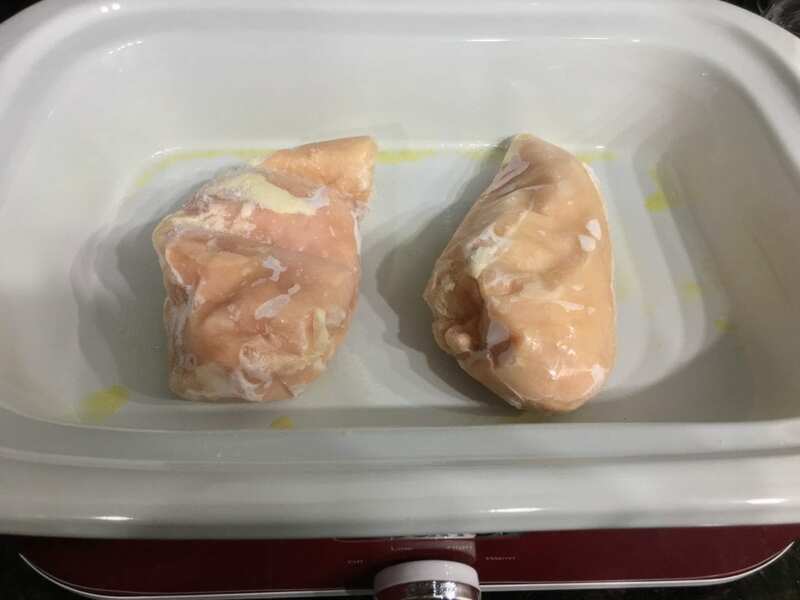 Remember, if your chicken breasts are thawed (mine were frozen) reduce the cook time by two hours on each setting so you would cook thawed chicken on high 3 hours or low 5 hours. That’s it for now! Just leave this and let the slow cooker do its thing. Now you can go and enjoy the rest of your day. About 12 minutes before the chicken is finished cooking, start your rice on. 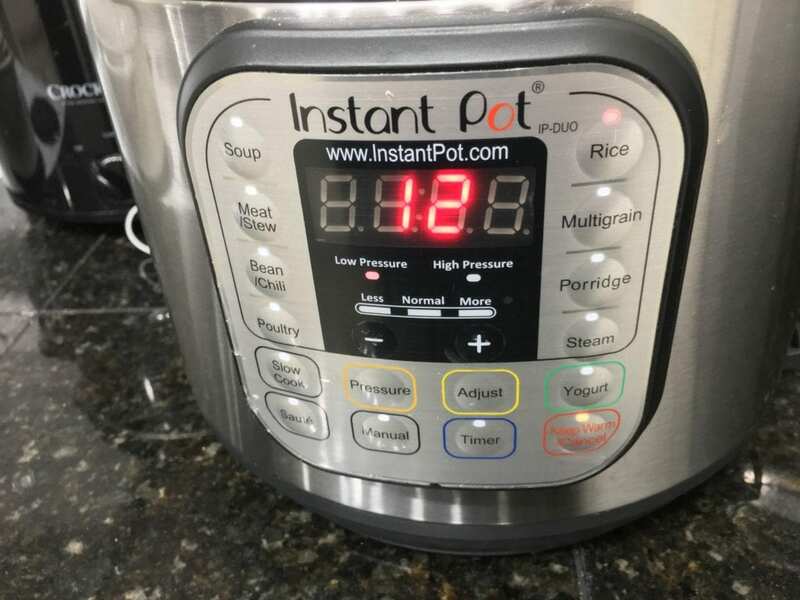 I like to use my Instant Pot for this job because it just does it so fabulously so I’ll give you instructions for how to make the rice in the Instant Pot but a regular rice cooker or just cooking it on the stove top will do just as well! Add 2 cups of uncooked, long grain white rice to the Instant Pot. DO NOT use minute rice! You will have a nasty mushy mess on your hands. Add in four cups of water. Now just lock the lid on the Instant Pot, set the steam release valve to the sealing position and select the preprogrammed rice feature. Now all you need to do is sit back and let the Instant Pot do the job! When the cook time is up, quick release the pressure. 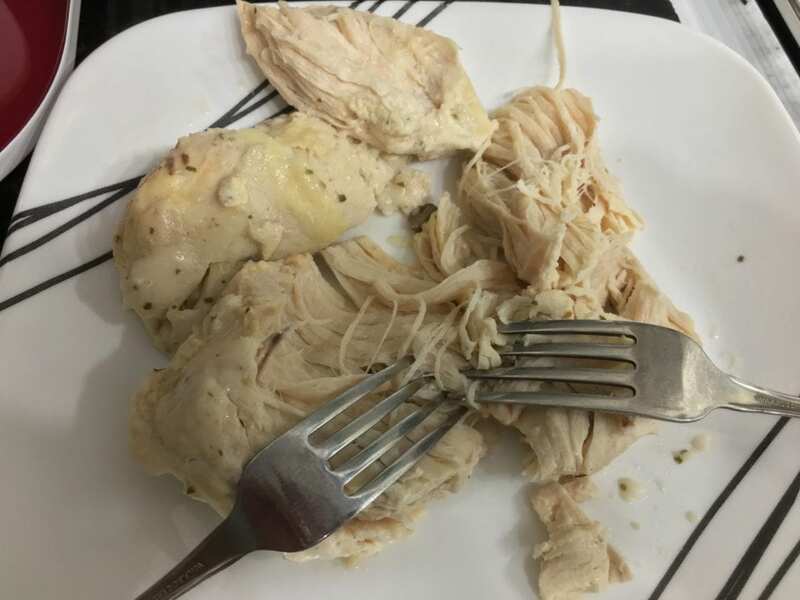 Now that the chicken is cooked, remove it and shred between two forks. This chicken will be so tender it will just fall apart! Stir the chicken back into the sauce in the slow cooker. Now add in three cups of cooked rice. 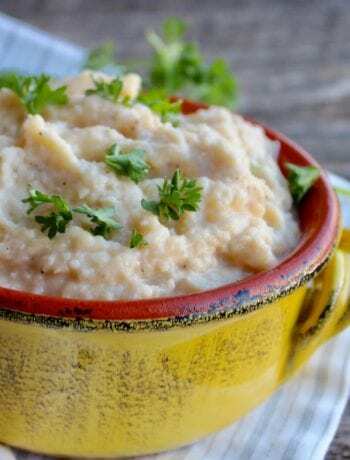 Stir in the rice and you are ready to devour this wonderful Slow Cooker Ranch Chicken & Rice Casserole! 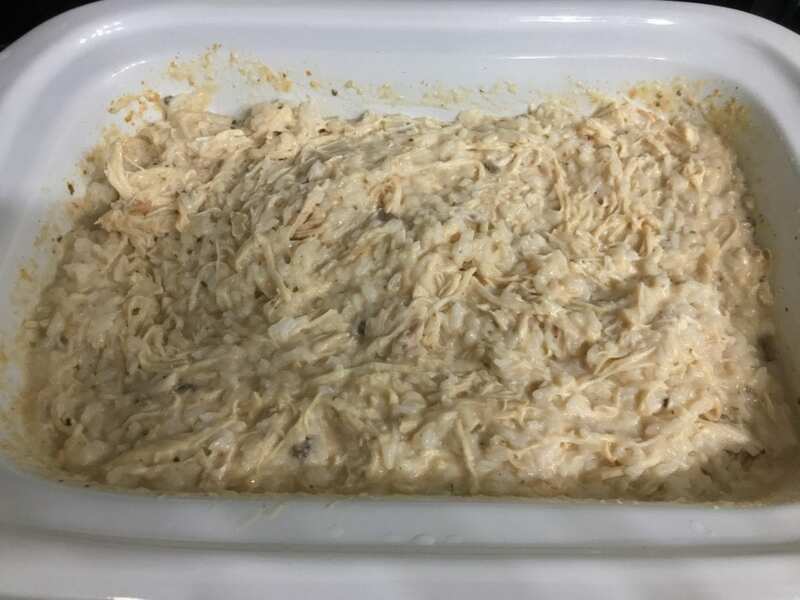 I served this up with pickled beats and green beans and this Slow Cooker Ranch Chicken & Rice Casserole was absolutely devoured by my family. Pure Southern comfort food at its finest right here ya’ll! 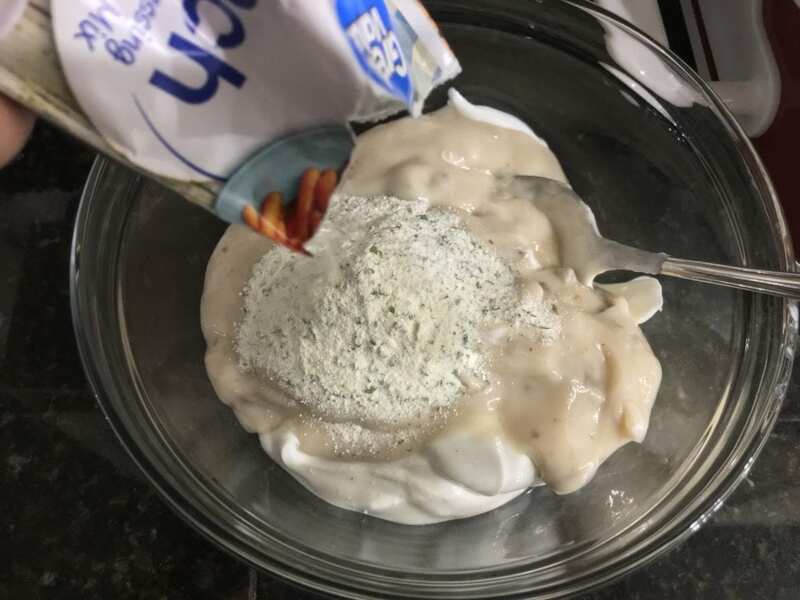 A delicious, creamy comfort food. 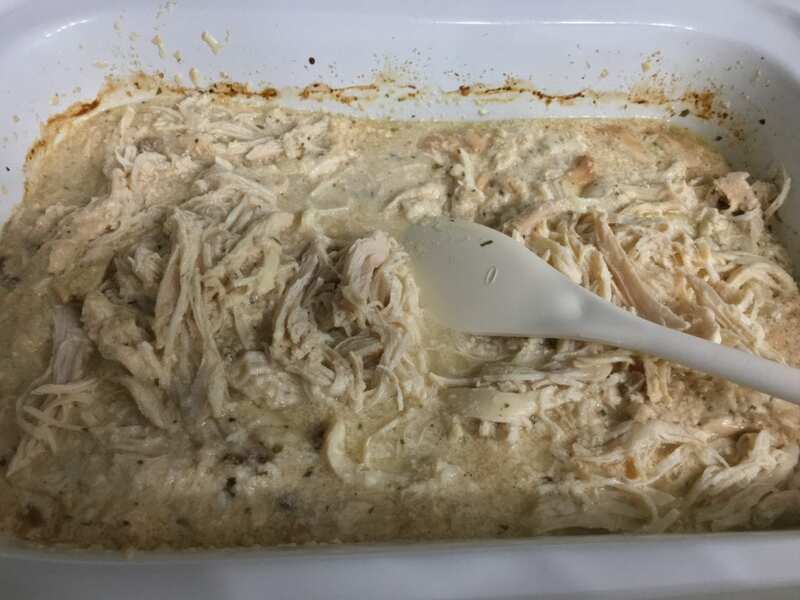 Spray a casserole slow cooker or a 4 quart or larger round or oval slow cooker with nonstick cooking spray and place the chicken in the slow cooker. 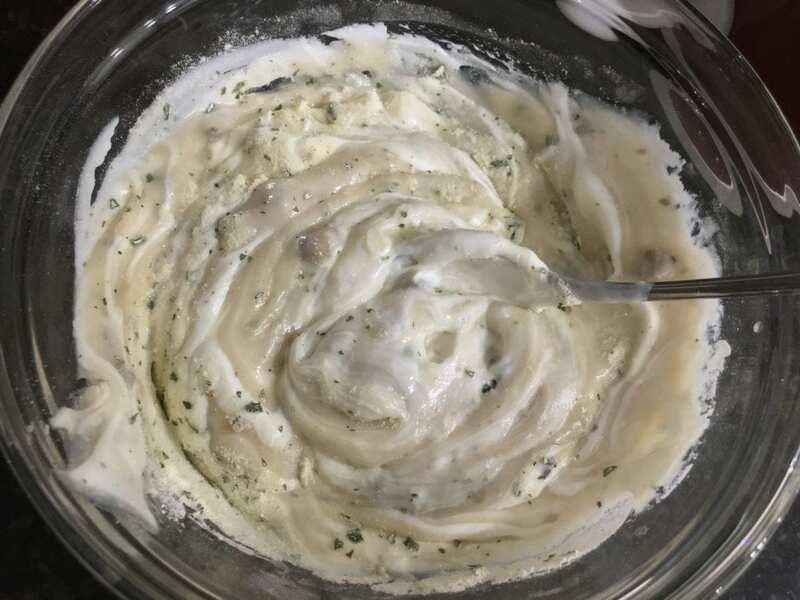 In a small bowl, combine the Greek yogurt, cream of mushroom soup, water, and dry ranch dip mix and stir well. 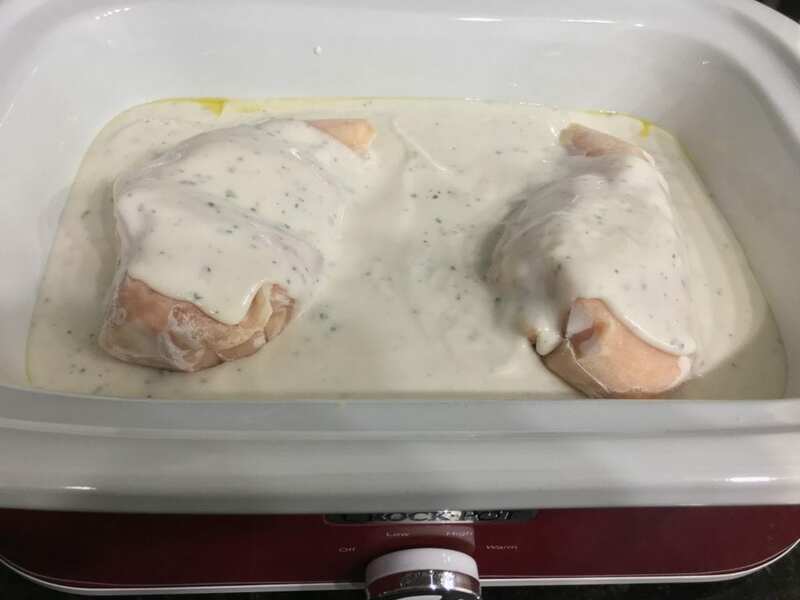 Pour the sauce mixture over the chicken, cover, and cook on high 5 hours or low for 7 hours. 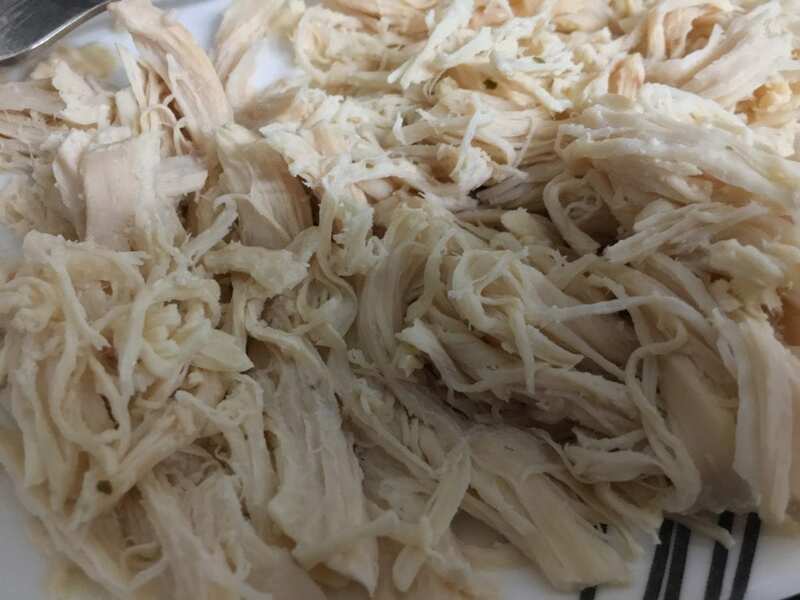 Once chicken is cooked, remove and shred between two forks and stir back into the sauce in the slow cooker. 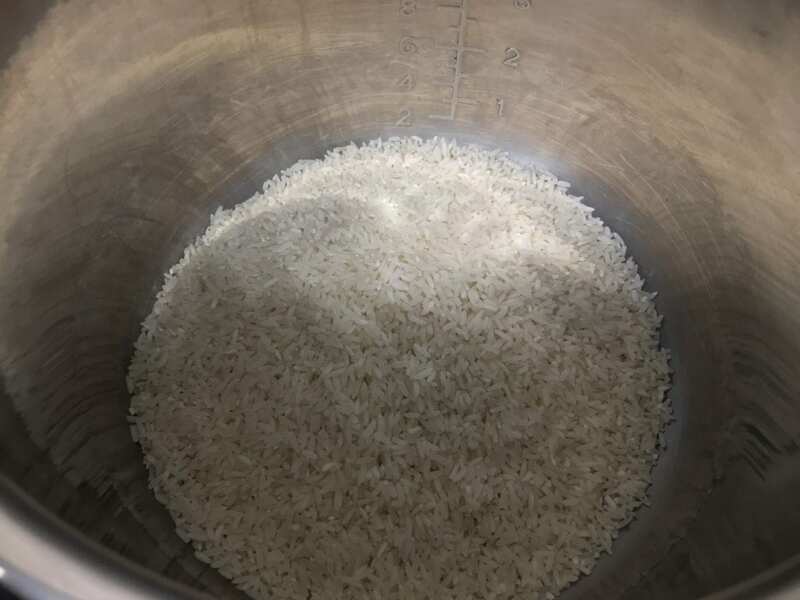 Cook 2 cups of long grain white rice in a rice steamer, pressure cooker or on the stove top according to package directions. Place 3 cups of rice into the chicken and sauce mix and stir well. Serve hot and enjoy! Recipe comes to 3 Smart Points for one cup serving. Yields 8 cups.